"I would highly recommend Lisa Brunies anyone looking to make a purchase or sell their home. Lisa was excellent in all areas of the purchase of our home, she showed great skill in the negotiation as we thought the price was a b it high for this area. I think both the seller and in my case as buyer were pleased with the outcome." "As a young first time home buyer, I was very nervous about purchasing a new home. Lisa Brunies was very helpful in finding the right home for me that was within my budget and with all the things I was looking for in a home. She was very informative and helpful in easing my anxiety in the entire process of purchasing my first home. She made this a wonderful experience for me and I would highly recommend her to anyone looking to make a real estate purchase." "Lisa has always made me feel like she is looking out for my best interests. She is energetic and genuinely seems to be in a good mood all the time which make her a pleasure to work with. Unlike another agent I've worked with, Lisa always responds quickly to any requests and has been very flexible working with my schedule. I'd recommend her to anyone!" "My parents are relocating from Georgia to Daphne Alabama from a home they have lived in for over 20 years. With this being a difficult move for them. Lisa Brunies has been a God send for my parents!! She showed them many, many properties, while allowing them to figure out exactly which area they wanted to purchase a home. After a few weeks my parents have purchased a home here, they are thrilled and have had a great experience, as well have I. I would recommend Lisa as a choice for a realtor if you are looking for your HOME, not just a house!!" "It has been a pleasure for me and my wife to work with Lisa Brunies in the process of trying to decide a direction to take in selling our home and purchasing another. Lisa is very professional, knowledgeable of the market and provides great insight to every detail. I highly recommend Lisa to anyone in need of assistance in buying/selling real estate." 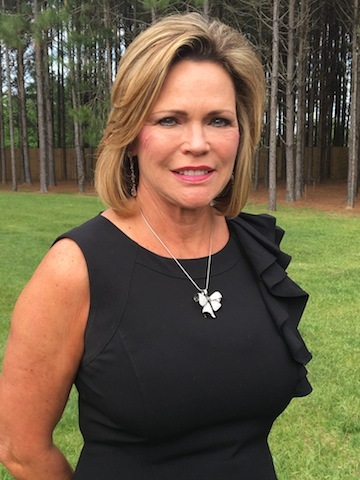 "If you are looking for an agent with vast knowledge of Baldwin County and someone who will always go the extra mile for her clients, Lisa Brunies is the agent for you. She is a masterful negotiator with a keen ability to anticipate the needs of her clients. Lisa is more than just an outstanding realtor, she’s also a wonderful person. I highly recommend her!"